At over 33 times trailing net income, Aetna “isn’t exactly selling at a moment of weakness.” And since the offer is mostly in cash, it will strain the CVS balance sheet. If the deal finalizes, it would merge the nation’s largest pharmacy chain with a major healthcare insurer, representing one of the largest healthcare deals of all time and the biggest deal in 2017. 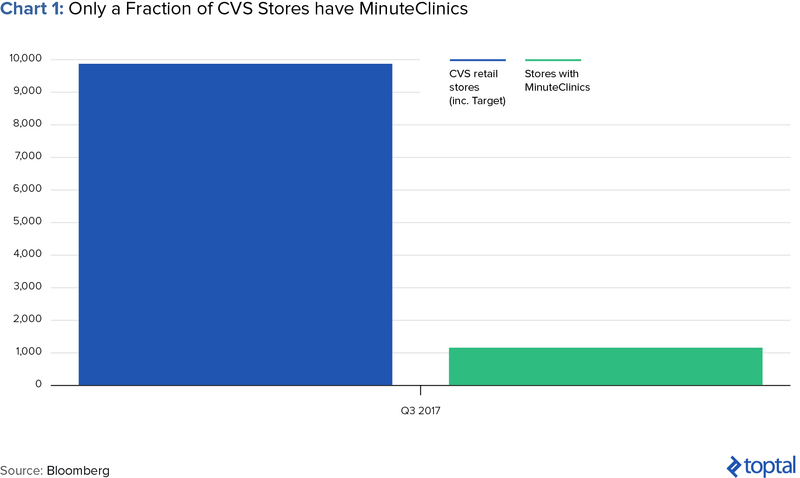 The partnership will capitalize upon CVS’ existing 1,100 low-cost MinuteClinics, which will soon expand its low-level treatments. Expanded Services as a Competitive Edge. 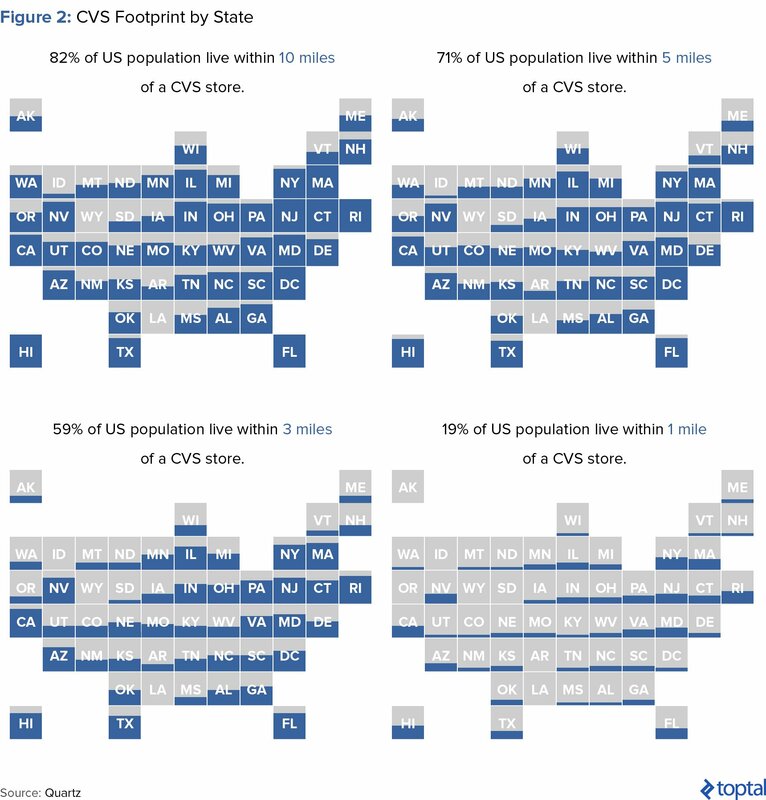 The deal would leverage CVS’ 9,700 storefronts and 1,100 MinuteClinics. By focusing on preventative care and minimizing hospital services, which drives at least 70% of medical costs, the total cost of care can be minimized and differentiate them in the market. Despite Threats from Amazon, the real race is with UnitedHealth. Amazon has obtained licenses allowing it to sell drugs, amongst other items, in 12 states. 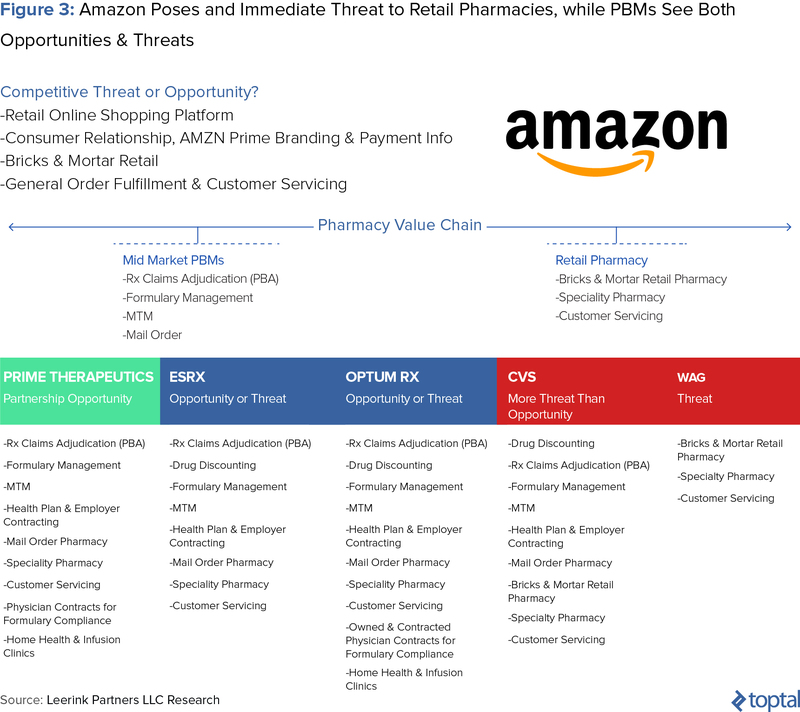 It’s possible that CVS and Aetna joined forces to counter a ruthless competitor. However, the real threat might be from health giant UnitedHealth, the nation’s largest health insurer. UnitedHealth has long been pursuing a strategy where it expands into drug dispensing and patient treatment. Traditional Caregivers under Pressure. It’s no secret that the hospital business is becoming commoditized and non-traditional entrants are introducing fresh options. This is reflected in the number of healthcare-related venture funding deals, which grew 200% between 2010 and 2014. 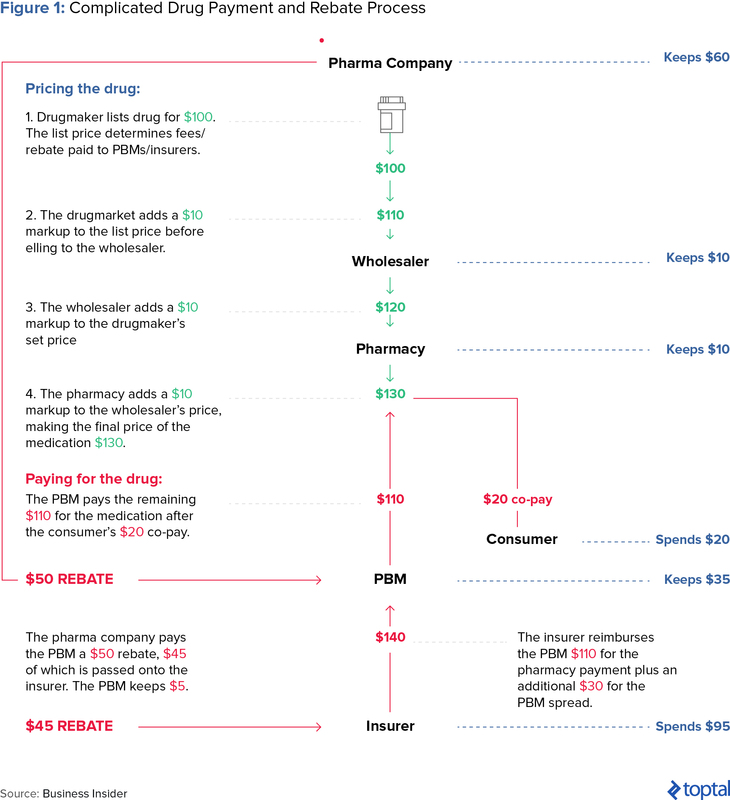 CVS and Aetna want to pursue value-based care, in contrast to the current fee-for-service system, which incentivizes treatment by volume. Unsurprisingly, this will be a blow to hospitals like Tenet Healthcare, HCA Holdings, and Community Health Systems. Increased Merger Activity. Three days after the Aetna and CVS announcement, UnitedHealth purchased DaVita Medical Group, acquiring its 300-doctor nationwide clinics, for $4.9 billion. This will expand UnitedHealth’s Optum unit, which already includes 30,000 doctors. 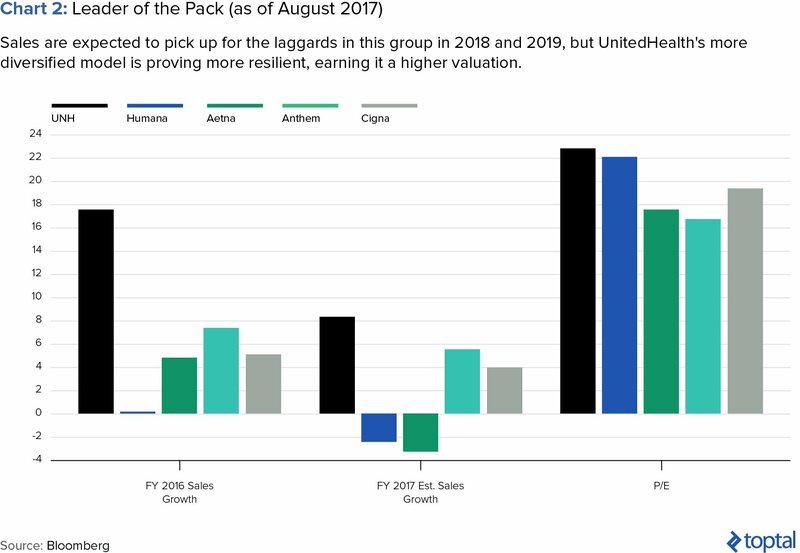 UnitedHealth has spent $14 billion on deals in 2017 acquiring assets. Unclear How It Will Affect Consumers. Some experts believe that CVS and Aetna will provide greater convenience to consumers, insisting that the deal will help patients navigate the complicated system. Others highlight the fact that Aetna’s outgoing CEO would reap $500 million if the deal closes.